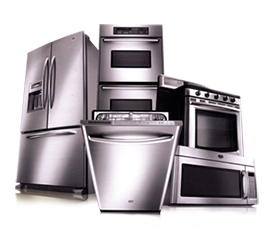 Lothian Domestics are the only Samsung Authorised Service Centre for appliances within the EH and ML postcode areas. This means our engineers are trained and authorised by Samsung to respond to any problems that occur both during and outwith the manufacturer's warranty period. Arrange a repair through us and you can rest assured that you are getting an engineer who knows your appliance and has the technical knowledge and backup required to diagnose and repair it quickly and efficiently. As Samsung appliances become more complex and include things like wi-fi connections, you really can't take the chance with someone repairing an appliance when they don't have the full technical knowledge of the appliance in question. This is why you are in good hands with us, as you know our engineers are fully trained by the manufacturer on each aspect of the appliance and have the full backup of Samsung's technical support if any issues arise during or after the repair.